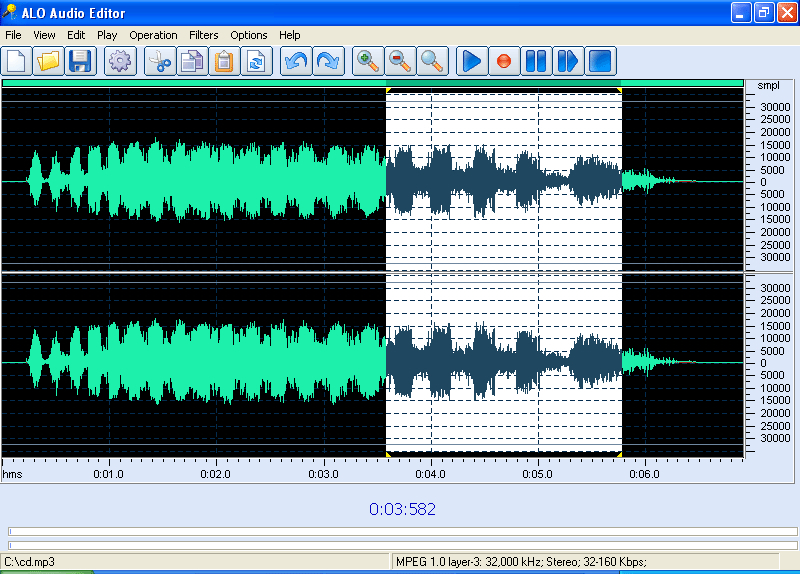 ALO Audio Editor 3.3.378 - Download Win Apps. Edit, filter, apply effects, and convert audio files..
AAE is a perfect audio editor tool for your music production that supports many popular audio formats. AAE provides cool and easy-to-use interface that allow you to edit an audio file visually (Cut, Copy, Delete Select, Delete Silence, Paste, Paste From File, Mix, Mix From File); apply different effects (Amplify, Compressor, Delay, Envelope, Equalizer, Expander, Fade, Flanger, Invert, Normalize, Phaser, Reverb, Reverse..